Here we look at the way emissions have changed across the country from 1990 to 2013. Different regions of the country contribute different amounts to the total greenhouse gas (GHG) emissions “pie”. During this period, Canada’s absolute GHG emissions increased by 18%. (1) So, the pie got bigger. 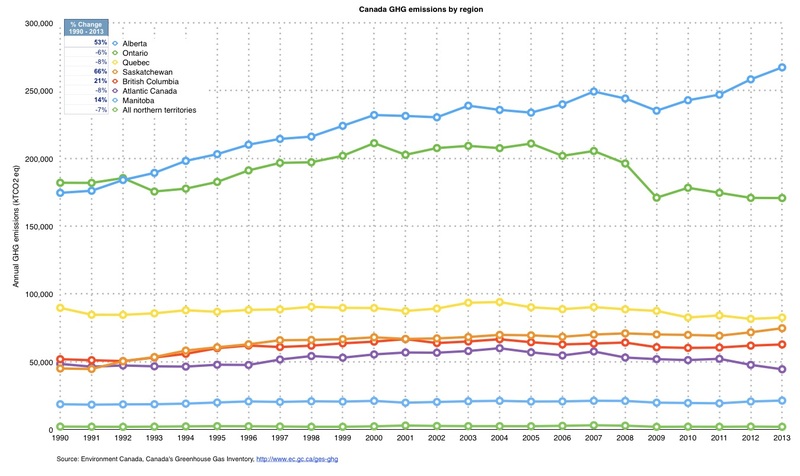 Ontario, Quebec, the Atlantic provinces, and the territories‘ emissions shrank during this period. The biggest reason for the emissions growth in Alberta and Saskatchewan was from expanded fossil fuel industries. 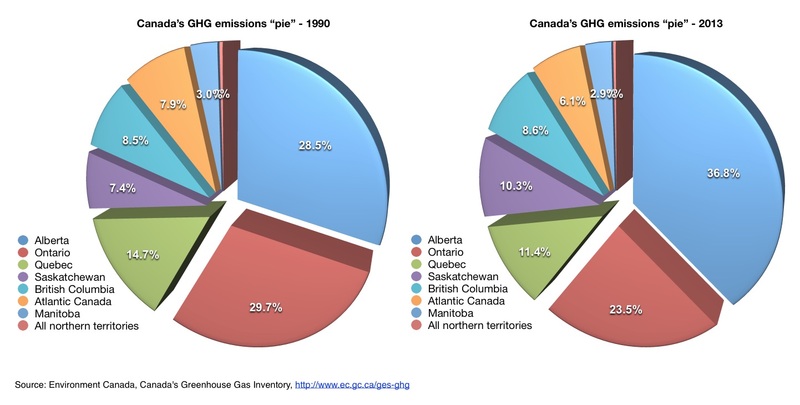 Alberta’s contribution to Canada’s GHG emissions “pie” grew from 28% in 1990 to 37% in 2013. Saskatchewan’s contribution also grew from 7% to 10%. NOTE: Atlantic provinces include the combined emissions from the provinces of Newfloundland & Labrador, Nova Scotia, PEI, and New Brunswick.